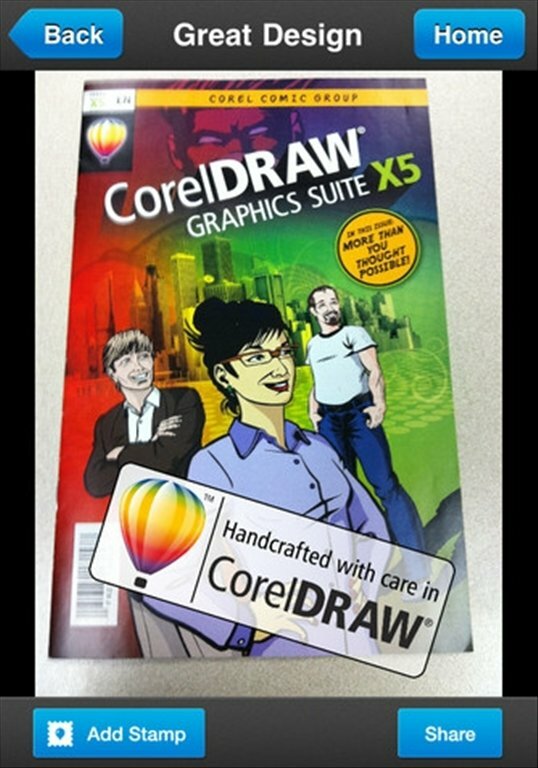 Thanks to the developers of CorelDRAW we can now access CorelDraw Fans, an essential tool for graphic design professionals and enthusiasts. 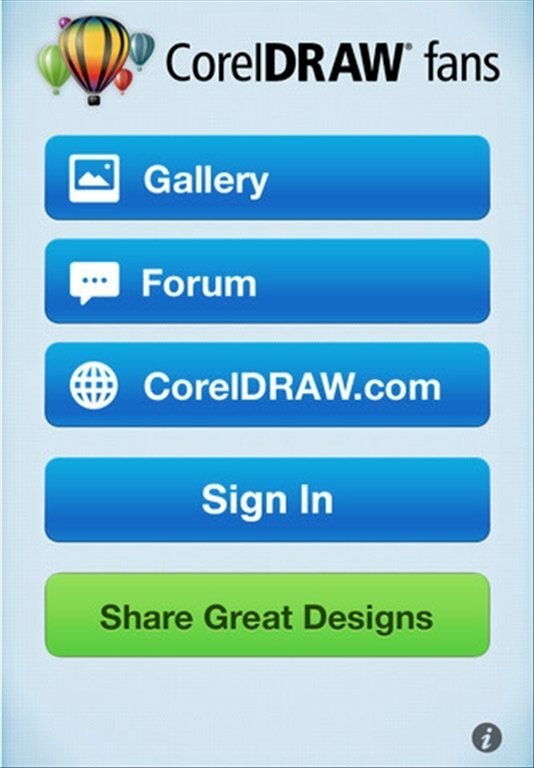 Join the CorelDRAW user community and share your designs over the Internet. 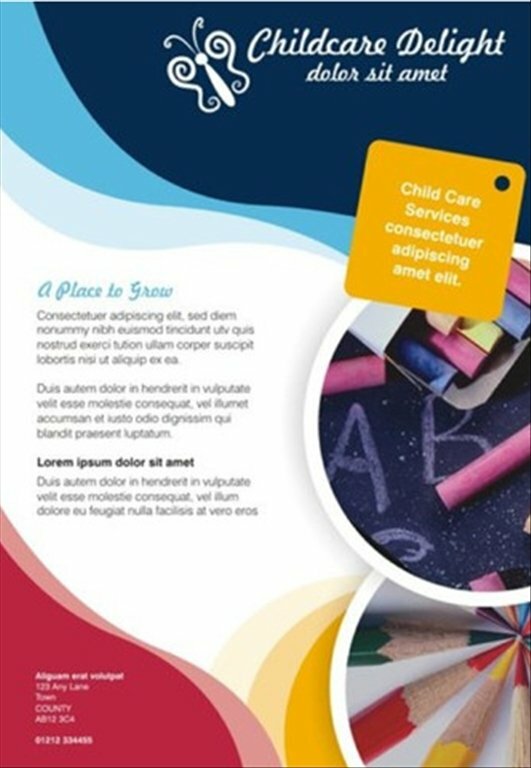 There is nothing better to find new ideas than to observe the work carried out by other users, and you can do so by joining the CorelDRAW community no matter where you are thanks to your iPhone and CorelDRAW Fans. Connect to a large user community. 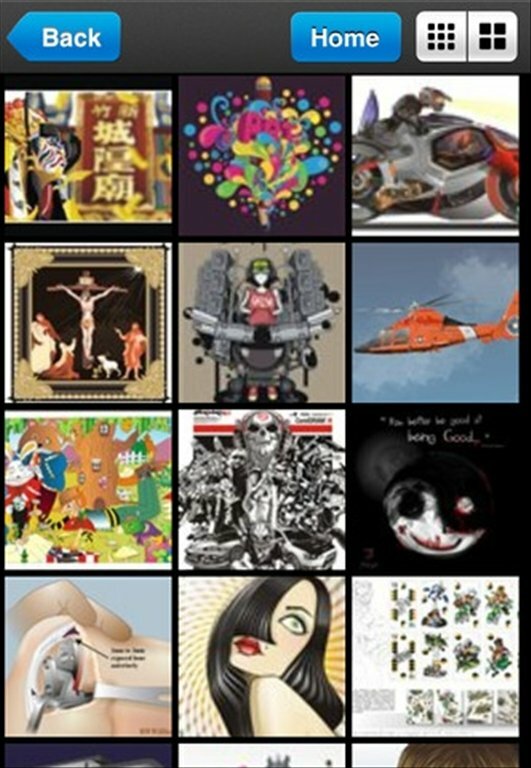 Take inspiration from the best artists to start your own designs. Share your own designs instantly. 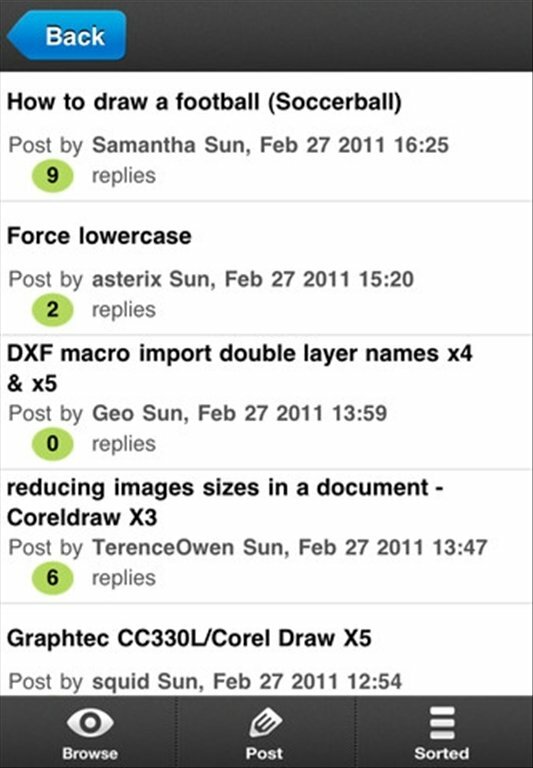 Access the forums and communicate with graphic design and layout specialists from all over the World, thanks to CorelDRAW Fans.